Atherinopsis tenuis Ayres, 1860, San Francisco, California, United States. French: Capucette californienne; Spanish: Pejerrey californiano. Grows to 7.5 in (19.0 cm) maximum length. 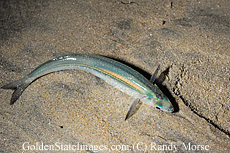 An elongate silverside with a prominent silvery lateral band and bluish green coloration on the back. Monterey Bay, California, to the southern Baja Peninsula.
. 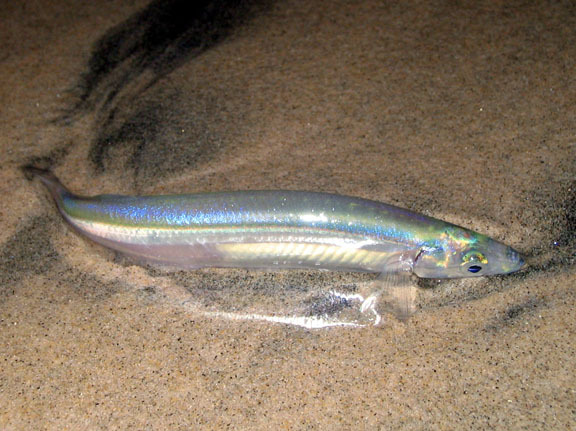 When grunion emerge from the surf to spawn on beaches, they can be collected by hand. 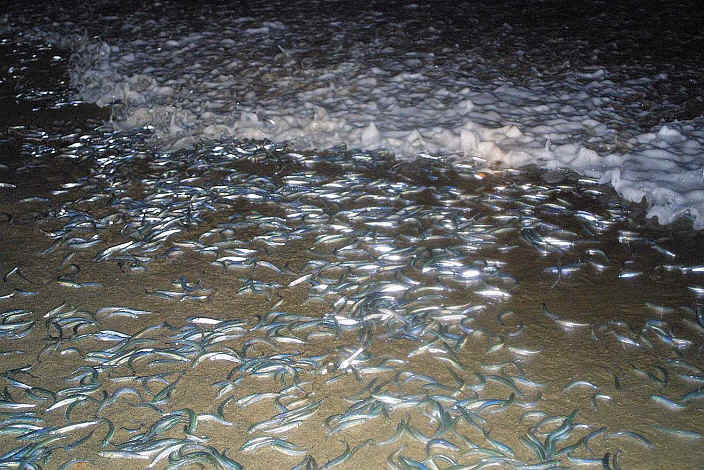 Spawns en masse above the waterline on beaches during highest tides of the spring and summer months. 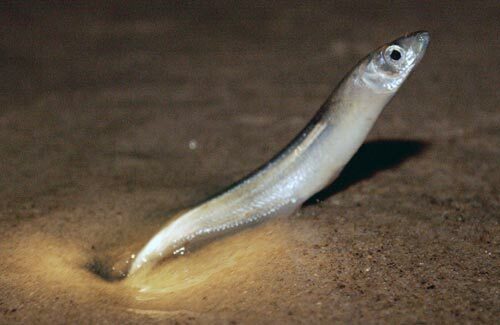 Both males and females ride in with large waves and are left exposed on the sand when the water recedes. Females burrow tail first into the sand to deposit their eggs, and attending males fertilize the eggs as they are released. After spawning, adults return to the sea. They are capable of spawning numerous times. The eggs hatch in about two weeks, upon being agitated by another high tide. 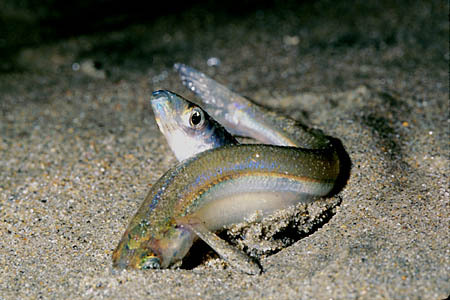 Buried grunion eggs provide food for shore birds, crabs, isopods, and beetles. Collected by hand during spawning runs.